Meanwhile, there is an evil wizard named Gellert Grindewald who is on the loose and is one of the most dangerous and most evil wizards there ever was, along with a U.S. group that hates all wizards and witches that tries to take out Scamander and other wizards and witches. Scamander has some help on his quest with two sisters named Tina and Queenie Goldstein, who work for the U.S.A.’s version of the Ministry of Magic called the Magical Congress of the United States of America, which is mostly led by a sinister yet conflicted man named Percival Graves (Colin Farrell), who has taken to an abused young boy named Credence (Ezra Miller). Filmmaker David Yates is back in the director’s chair again, as he will be for all five films. Yates knows the world of ‘Harry Potter‘ very well, as he directed the last four ‘Harry Potter‘ films, and leaves the kid jokes at the curb. ‘Fantastic Beasts‘ is a very dark and sinister film, although it is filled with wonder and amazing creatures. What Yates and Rowling do well is fully immerse you into the magical world of wizards again, with different spells, fun buildings and creatures, and hints of bigger back stories that are not fully told yet. This setup of a film introduces us to some great characters and plot points that will be the focus of future films without giving much away here, which was a nice touch. There are some mentions of a few characters from the ‘Harry Potter‘ films, but again, ‘Fantastic Beasts‘ stands on its own and is fairly easy to separate the other movies from this. The world here is bleak and full of adult themes, leaving the funny kid jokes on the back burner, which I admit, I miss here, but the new comic relief comes from Dan Fogler as Jacob Kowalski, who is a muggle whose dream is to open up a bakery. By just being in the wrong place at the wrong time, he is tangled up with Newt and this world of magic, and he steals every scene he is in. I really hope they bring him back for future films in a big way. 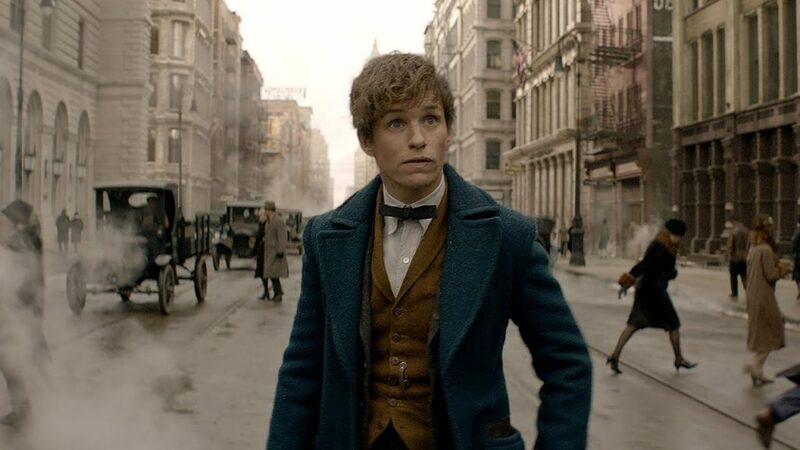 ‘Fantastic Beasts‘ is a great start to a new ‘Harry Potter‘ franchise, despite the bleakness throughout the film. This entry was posted on Tuesday, November 15th, 2016 at 1:36 pm	and is filed under Film, News. You can follow any responses to this entry through the RSS 2.0 feed. You can skip to the end and leave a response. Pinging is currently not allowed. « Check out the first trailer for ‘Patriots Day’!! !